It is expected that the Nokia company will officially launch the Nokia P1 also known as the Nokia 8. The Nokia will be among the most expensive phones available in the market. The 128GB model will be priced at around $779 (520 Euros) while the 256GB version will cost around $900(720 Euros). The phone will be available in the 5.5inch model. The Nokia p1 comes with multiple colour schemes with silver, black and rose gold. The Nokia 8 will have 1P57 water and dust resistance and will be available in two sizes, 5.5inch and 5.2inch model as http://www.melofania.com indicates. Each model has QHD 2560x1440 AMOLED displays. The phone has a unique body shape of Sharp Aquos P1. The handset will feature a metallic body design too; this will offer a thinner bezel than those seen on the Nokia 6 and a uniform body frame. The phone will have a Gollira glass five that is resistant to drops and spills. The phone is embedded with a fingerprint sensor for locking and unlocking the gadget faster. The gadgets software is expected to run to googles android 7.0 nougat like Nokia 3 and six it is expected that Nokia p1 will offer a vanilla Android. Hence the users can expect prompt monthly security updates, faster upgrades to new versions of Android. As for the camera, the gadget will support Carl-Zeiss-made 22.6 mega pixels’ rear camera being the most powerful lenses in the continent today. The back camera has dual-color LED flash. The front camera has 8MP, and unlike the rear camera, it does not have flash. 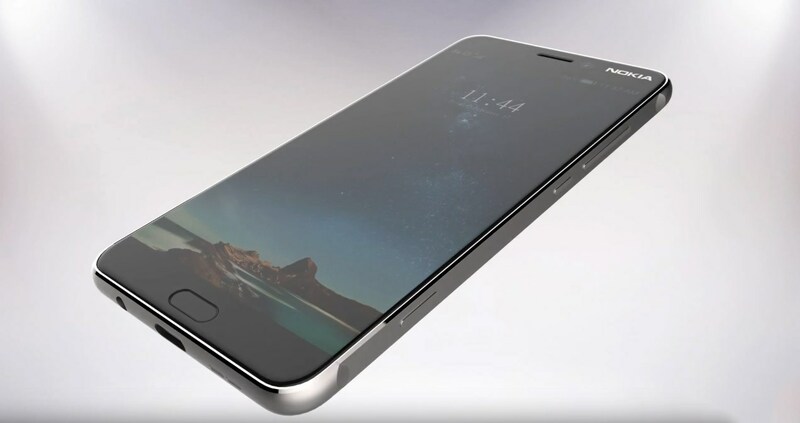 The phone will be charged via a USB-C port; the device is also expected to sport a 3.5mm headphone jack meaning the phone has not adopted the Apple technology. This phone's hardware is the strongest in the Nokia company. The device will be sporting a Snapdragon 835 processor this will be the most powerful mobile processor in the continent today.It has a 6GB RAM to add to the processor power; this is more than many laptops provide in the market today. You can choose between the128GB or the 256GB this space is more than enough to store thousands of images and videos. The device will be kept running by a large 3500mAh battery; this is enough to for a day-long life. The phone has all the common applications available in other phones such as instant messaging, email, facebook, facebook messanger, Instagram, WhatsApp, play store and the google chrome. It also has common tools such calculator, calendar, notes, compass, backup and reset, file manager among others. One of the advantages is that due to its large RAM the gadget can support many applications without affecting performance speed. With the mentioned specs, the device will compete favorably with iPhone 7 and the Samsung galaxy8; these are phones with closely related specs apart from the fact that Nokia P1 and Samsung Galaxy eight use androids while iPhone uses Ios. Of course, I expect the gadget will be more than smart to be in the market let us give it time for the market is very competitive and consumers are expecting the best from the phone. If it fails its consumers it will be kicked out of the market sooner due to other worthy competitors.